DO YOU HAVE A WARNING LIGHT ON YOUR DASH, BUT DON'T KNOW WHAT IT MEANS? HAS YOUR CAR BEEN RUNNING A BIT ROUGH LATELY? An engine diagnostic is a test which is performed to learn more about why an engine is not functioning properly. 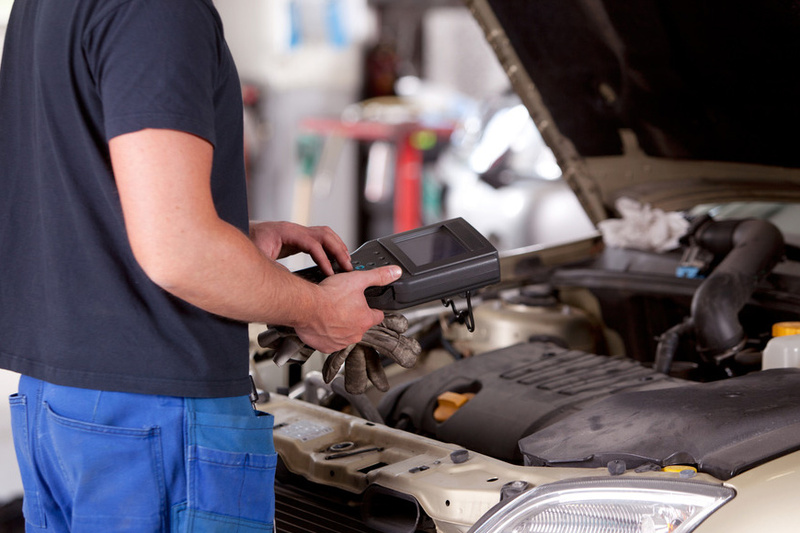 The engine diagnostic is used to gather data which can be utilized in the repair of the vehicle, and it can also be used during things like emissions testing, in which a car is checked to confirm that it adheres to emissions standards for vehicles in its class. Performing an engine diagnostic starts with plugging a device into the car’s onboard computer. There is usually a space to do this just under the dashboard on the driver’s side of the car. The device interfaces with the computer, returning a diagnostic code which can be referenced against a list of codes for vehicles from that manufacturer. If the engine is in good working condition, the device will inform the user. If there is a problem, one or several codes may be displayed. Codes can mean a wide variety of things. 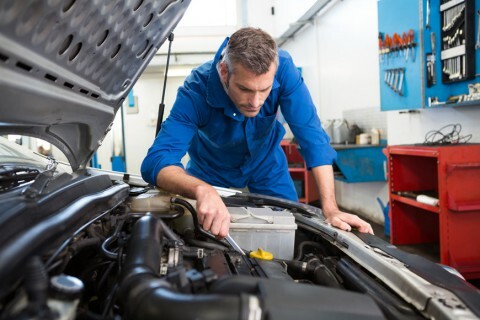 During an engine diagnostic, the mechanic determines what is causing each code to display, for the purpose of developing an estimate to let a driver know how much it will cost to address a problem. Sometimes, the issue is simple, while in other cases, it can be very complex. People usually bring cars in for an engine diagnostic when the “check engine” light is displaying, or when they are experiencing car problems. It can be helpful for the mechanic to know which kinds of problems are being experienced, and how long the driver has noticed the problems. For things like the check engine light, sometimes the light goes off when nothing is really wrong; for example, some cars will display the light when it is time for an oil change to goad drivers into going to the mechanic, and the mechanic can clear the alarm so that it will stop displaying. Devices to perform engine diagnostics are available through auto repair stores. Having the device is not terribly useful without having access to a database of codes. Some automotive repair websites maintain code databases which people can use for reference while working on their cars. People can use this information to repair their cars, or simply to determine whether or not a car needs to be brought in to a mechanic. People should be aware that sometimes clearing codes and alarms can cause a car to fail emissions testing. For example, if someone clears the check engine light without addressing the problem which caused it to illuminate, the car will fail emissions testing. PROBLEMS WITH YOUR BELTS AND HOSES? Lean – Contrary to rich, if there is more air then required being allowed into the engine, this excess oxygen will throw out the perfect ratio and your car will suffer. If your motor is running lean, not only will you experience poor performance, you may cause damage to your engine. Sudden drop in fuel economy – If the oxygen sensor fails, the engine is unable to obtain a clear understanding of how much fuel it needs and as a result, additional fuel can be pumped through into your motor. Drastic change in engine performance – The oxygen sensor plays such a critical part in your cars fuel delivery system, a faulty sensor will be unable to correctly determine the volume of fuel required. This will result directly in lack of engine performance that will be quite noticeable on your daily drive. Harsh idling – Idling will also be affected due to changes in fuel delivery. The effects can alter from significantly rougher idling, to sporadic fluctuations in idling behaviour. This should be quite noticeable and therefore one of the easier methods of detection. Strong smell of fuel – If the engine is running rich, there will be more fuel being pumped into the engine and a distinctive fuel smell may be present from either the exterior or interior of your car.